The MX-5 was created 30 years ago and is now the world’s best-selling two-seater sports car, with its striking and distinctive appearance. 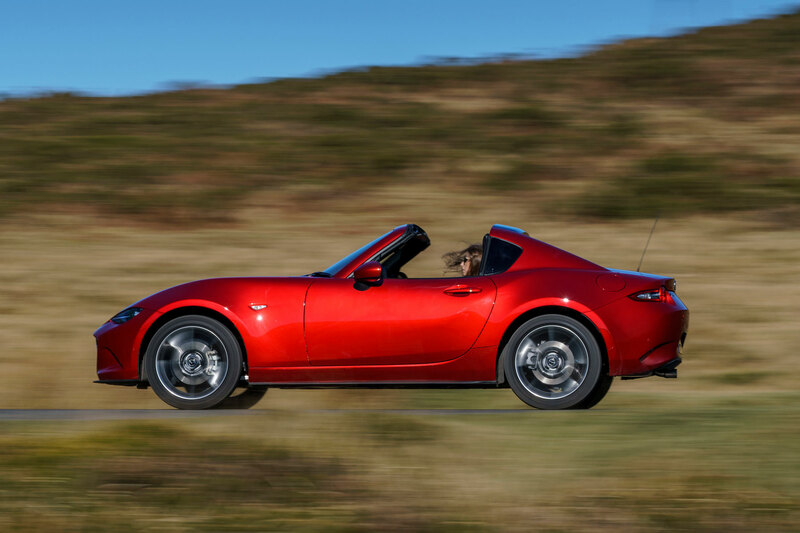 The current MX-5 is the fourth generation of the Mazda MX-5 and still has all the spirit, style and fun it is famous for. Pitched in the mid-eighties it has come along way to where it is now from producing 115ps and a 0-62mph time of 8.8 seconds. 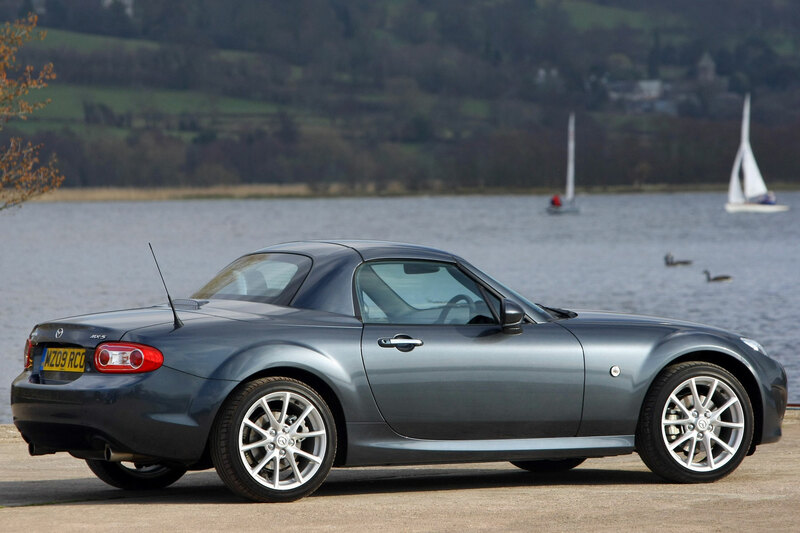 The third-generation MX-5 was launched at the 2005 Geneva Motor Show lower to the ground and more athletic than any of the previous models. Larger wheel arches housed new 17” alloy wheels. The 1.6 engine was replaced by a new 2.0-litre 160ps engine with an all-new 6-speed gearbox. With a perfect 50:50 weight distribution and improved stiffness saw the improvement of handling and driving dynamics. In 2006, Mazda again did the unexpected by introducing the first-ever power retractable hardtop MX-5 that retracted in just 12 seconds, taking up no boot space in doing so. 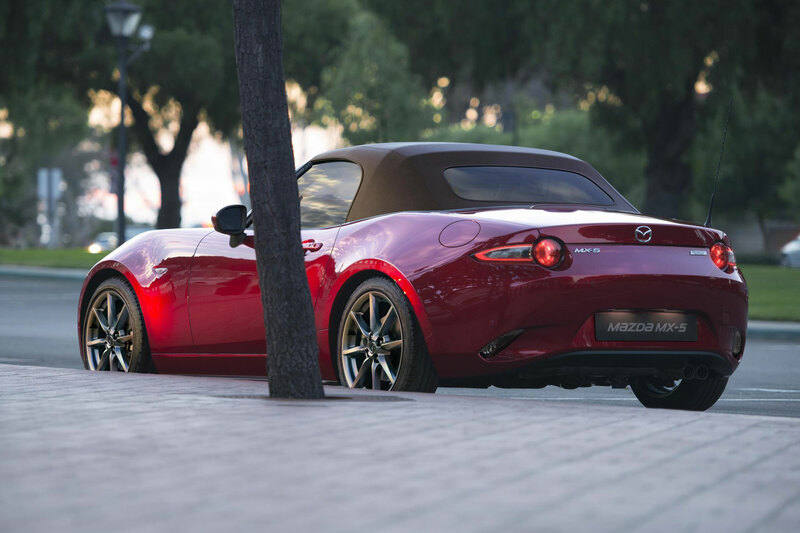 2017 saw the introduction of the Mazda MX-5 RF.The Mazda MX-5 RF features a retractable hardtop that has been beautifully crafted using the flowing KODO: Soul of Motion design theme. This advanced roof can be opened while driving (up to 6mph), and transfers you from the quiet of the cabin to the exhilarating joy of open air driving in just 13 seconds. It’s the very best of both open and closed top driving. If you would like to find out more information on the 2019 Mazda MX-5, please contact Ciara or Scott in our Mazda team today by calling 028 8225 8200.